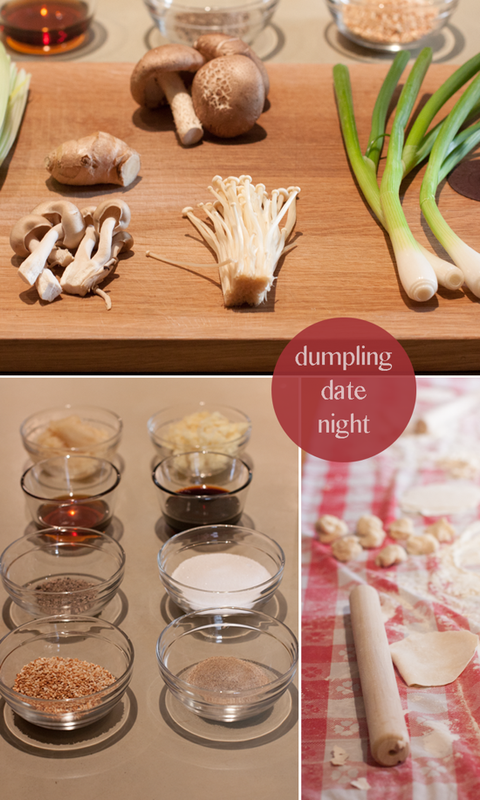 Jonah and I recently had a fun Friday night spent making dumplings. The date night was organized by HowAboutWe, a company with the goal of helping people fall in love and stay in love. 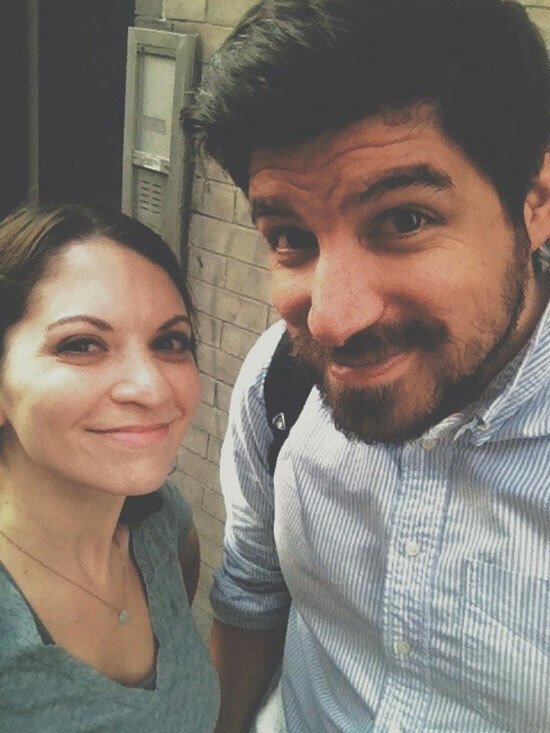 It began as an online dating site but has since expanded with HowAboutWe for Couples -- a membership service that sets up dates designed to fit pretty much any interest. You just browse their site and pick the dates you like. 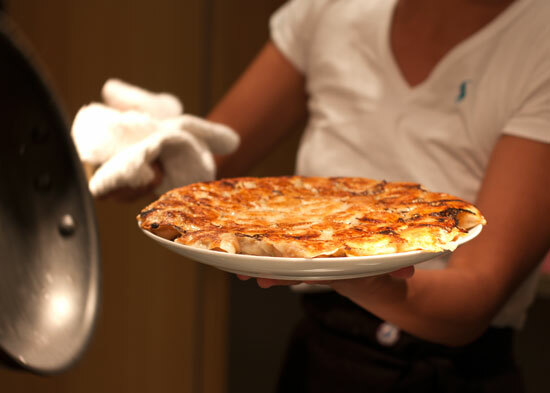 There's hiking, massages, cooking classes, boot camps, fancy meals out, wine tastings, concerts and more to choose from. Dates are currently available in New York City and San Francisco, and they're quickly expanding to other cities. You can sign up for free to browse their date options, and as a bonus, use this link to get $50 off your first date! 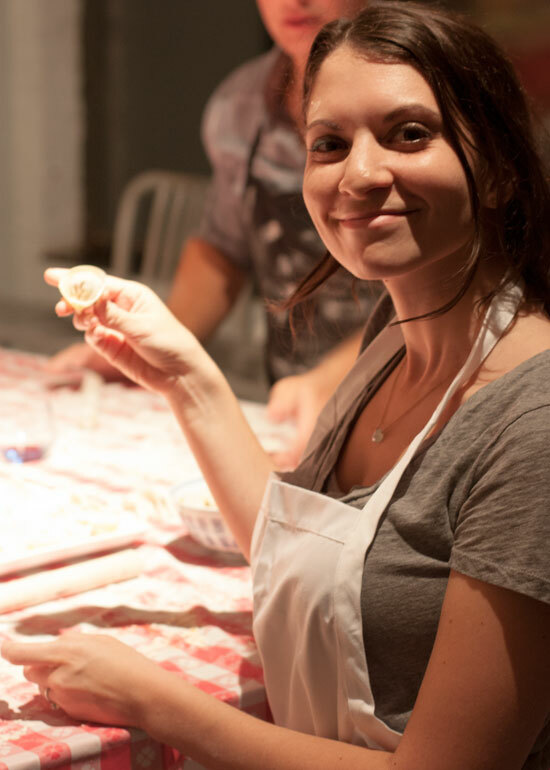 We decided on a dumpling-making class for our first outing. I'm sure you're well aware that Jonah and I both love food, but we're rarely in the kitchen together. I do most of the cooking, and he has a few specialties, namely hamburgers, popcorn and chocolate chip cookies, so I thought it would be fun to learn a new kitchen skill together. 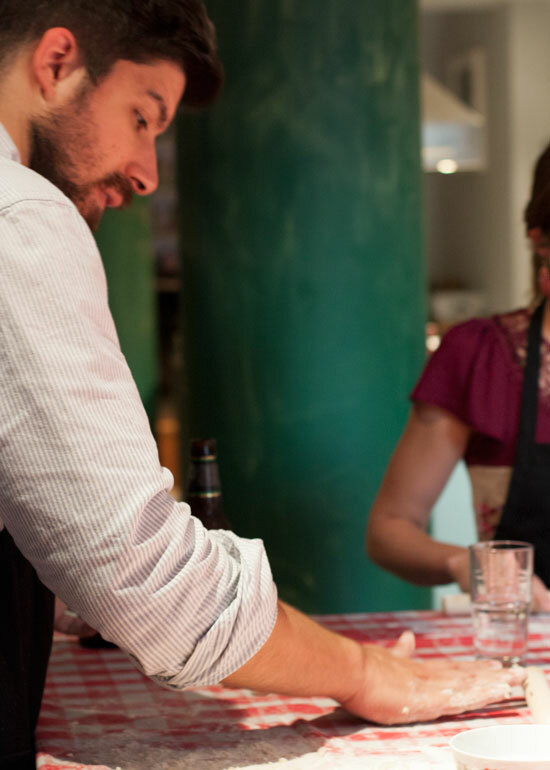 The class was held in a loft space in lower Manhattan and taught by Chef Connie Sun of Bite Size Kitchen. She led us and two other couples through the process and gave lots of helpful hints along the way. We made our own dumpling dough (just flour and water! ), rolled them out, shaped them, filled them and learned two folding techniques for sealing them up. One type was filled with beef and leeks and the other with three kinds of mushrooms. 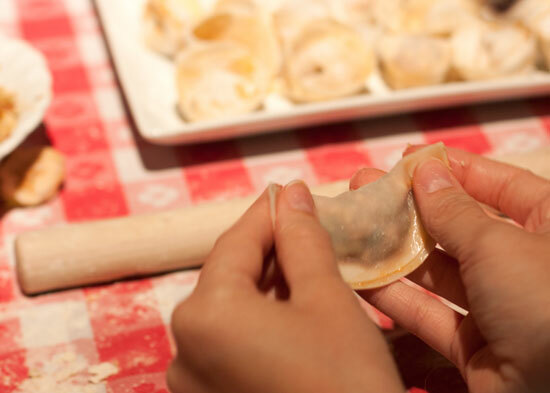 Did you know dumplings are folded differently so that you can distinguish what's inside? I'd never thought of that! After all the hard work, we fried them up in a skillet, flipped them out and went to town with chopsticks. I don't think I've ever eaten so many dumplings in one sitting. 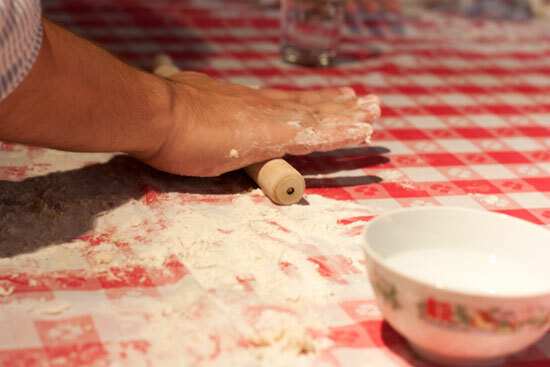 They were delicious, and it was an especially rewarding meal after learning all the steps involved and dusting off our flour-covered hands. 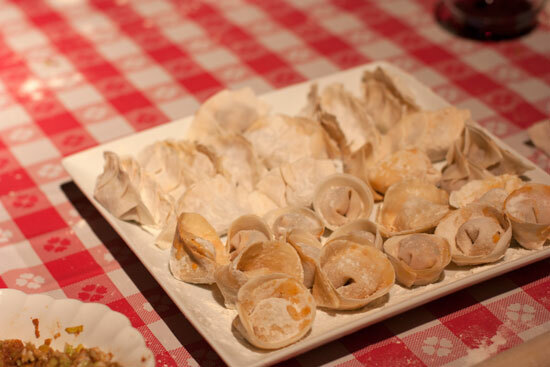 PS - I just found out that it's dumpling week on NPR. 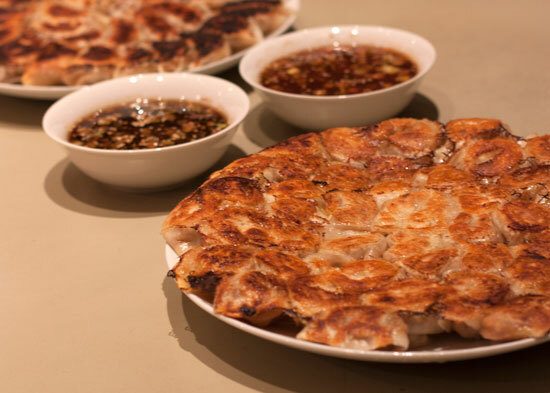 Long live the dumpling! Yum, looks like they turned out pretty great! What a fun idea! Happy date! Ha, how perfect! Thanks for the expert advice, Caroline. What a fun date night! I didn't know about different shapes for different stuffings.